New hand-knotted carpets usually fall into three different categories. Some are made to feed the cheapest end of the market; in other words they are made to be sold on heavily discounting websites like eBay or in those ‘closing down’ sales which claim to offer huge discounts. Others are made in studio workshops. These carpets are good quality, but to experts’ eyes, they are not sufficiently artistic in design, and do not hold their value over the long term. A third group are made in very good quality weave and dyes and are also unique in design, making them good collectable pieces. I started selling Persian rugs in 1990 and have built enduring relationships with my clients. It is especially gratifying to see the next generation beginning to appreciate these works of art for themselves. 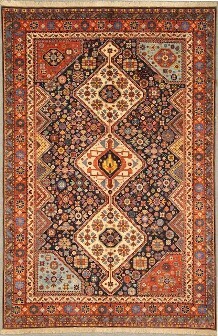 These days, good quality older rugs are becoming more difficult to find, and reputable merchants have begun the work of recovering and re-creating designs and techniques which may be in danger of fading from the world. They are seeking to revive the high end of the handmade carpet industry and to ensure that the artists (both weavers and designers) are given a fair share for their involvement. In India, I sought out manufacturing companies which had satisfactory work places and wage standards for their employees. This, in addition to their use of superior materials, means that the prices are a little higher than other places, but I believe that both merchants and consumers should have an eye for the future, as well as the past, in making their hand-made carpet selections. 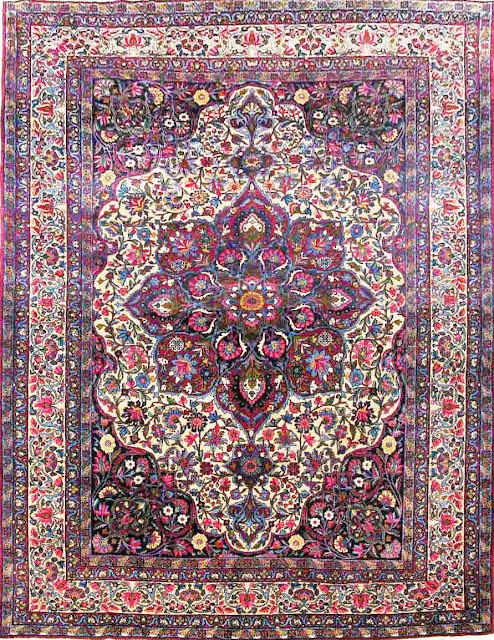 For example, the Miri family carpets from Iran are probably the most expensive in the world, and they are amongst the most collectable of the new productions. I visited Miri’s beautiful showroom and design workshop in Tehran, and after seeing their professional set-up and knowledgeable employees, I was happy to purchase from them and add some of their unique works of art to my collection. Majid is having an exhibition of a selection of these recently-arrived works of art and invites you to view some of the unique pieces, which are exclusive to us.